Real Madrid are reportedly on the hunt for Santiago Solari's replacement and Jose Mourinho is the name that has popped up. The former Los Blancos manager has been linked with a shock return but former club president, Ramon Calderon isn't happy with it. “Absolutely not. I've already mentioned the amount of damage he caused here. His style of play is not what the Bernabeu wants. What the fans want is what we've just seen from Ajax; bravery, aggression with a lot of speed and boldness. Mourinho doesn't do this,” Calderon told ESPN when asked about a Mourinho return. “I believe that he will be here next year as he's the only manager who the president respects and it's because he puts the dressing room in order and he demands the players to work hard,” added the former president. Barcelona are looking to make a formidable team and have set sights on improving every single position in the summer. They have got Frenkie de Jong already to solve the midfield issues with Luka Jovic lined up as Suarez's long-term replacement and De Ligt as Pique's long-term replacement. Now, they have set sights on strengthening the right-back position and have decided to go in for Joao Cancelo. The Juventus man is also a target for Manchester United, who have already made an offer of €60 million. Real Madrid need a squad reshuffle and this season's humiliating results have proved it. The Spanish giants are out of the Champions League and Copa Del Rey already and are now 12 points behind Barcelona in the league table. 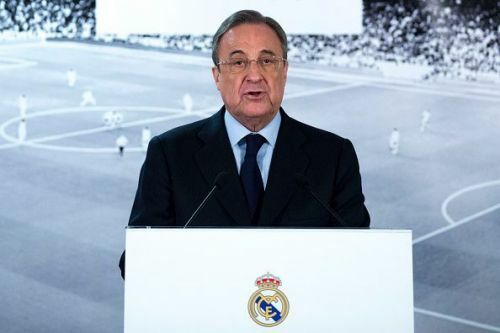 Reports in Spain suggest that Florentino Perez is ready to do all he can to get things sorted and has set his sights on making 5 stunning signings. The main targets for Los Blancos are Neymar, Kylian Mbappe, Harry Kane and Eden Hazard. The president wants to bring in all 4 players and the 5th signing he wants is a world class manager. Perez has listed 5 managers so far and they are Jose Mourinho, Jurgen Klopp, Joachim Löw, Massimiliano Allegri and Zinedine Zidane. However, Klopp is set to rebuff any approach as per the Telegraph while a return for Zidane looks unlikely.